SpaceX launched its Falcon 9 rocket on Monday, sending an unusual payload into space—64 satellites at the same time, a US record. Several minutes after liftoff, the tall, white portion of the rocket—known formally as the first stage—separated from the second stage. 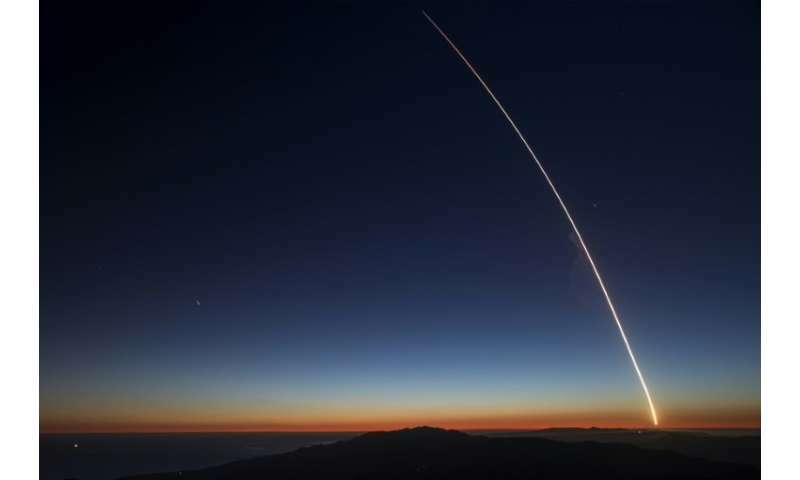 The launch was chartered by a company called Spaceflight, which specializes in space "rideshares," or putting multiple satellites on the same rocket. What amazes me is they used the same booster before and this was the third time it has launched and landed successfully. I was a comm tech who worked on X-15 launchings and the two rocket-powered NF-104 Space Trainers at Edwards AFB in 1966-67, but never expected to see rocket boosters land themselves in my lifetime. I always figured it was a massive waste just throwing em into the ocean, and people jeered Musk when he talked about re-using first stages. Now they have to sit there and grit their teeth (or dentures) and grumble about this Show Off and his multiple re-use of boosters, including the double landing of the side boosters with his Falcon Heavy. THAT was amazing to watch, and see the pair of them come in for better than picture perfect, top end Quality, perfect landings. Musk has his own space program to the point where we Should have been at the time of the Space Shuttle, had they actually started thinking about re-use and making the whole process of getting into space cheaper overall. Using the Atlas V for a moon launches, Several hundred millions of dollars, dropped into the ocean. Falcon 9 first stage sticking it's 3rd launch and land, Priceless.